Ranbir Kapoor’s fate in doldrums as TAMASHA opens to Mixed Response! 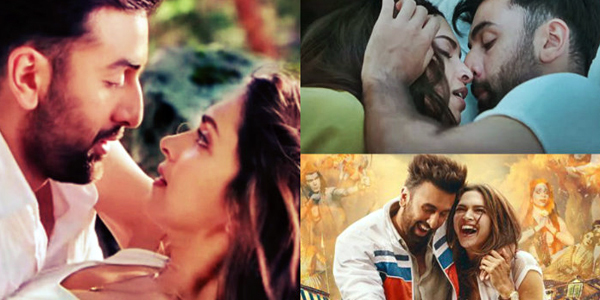 Ranbir Kapoor and Deepika Padukone starrer TAMASHA opened across 2100 screens across the country to a ‘mixed response’ thus raising doubts will the movie be able to break the jinx of Bollywood star Ranbir Kapoor! Regarded as the ‘Make or Break’ movie for Ranbir Kapoor, after his three consecutive debacles BESHARAM (2013), ROY (2015) and BOMBAY VELVET (2015) the movie has taken off to a decent start with the opening day collecting modest Rs 15crore but has failed to gross Rs 20-25 crores on the opening day as per trade pundits prediction. Nevertheless with film critics applauding the film and giving rave reviews (rating 3.5 out of 5) and with word of mouth publicity the movie is bound to pick up. Another plus point for the movie is that it is the solo release and with the magic of Salman Khan –Sonam Kapoor starrer PREM RATAN DHAN PAYO losing its shine after two weeks of uninterrupted run at the box office, TAMASHA has the golden opportunity to cash on and set the box office ringing. In addition the movie being Ranbir Kapoor and Deepika Padukone combination that earlier broke box office records in their previous film YEH JAWAANI HAI DEEWANI there is a curiosity among movie buffs to watch the duo on big screen. Further the Imtiaz Ali-Ranbir Kapoor combination that created box office history with ROCKSTAR is another factor for film buffs to throng cinema halls. However on the negative side trade analyst believe mixed reviews along with poor advance bookings imply that TAMASHA despite posting decent opening day figures will witness a drop in collections as the weekend progresses. Another drawback is that TAMASHA like earlier Imtiaz Ali films focuses on multiples crowds hence it may not be able to create a buzz at single screen and interior of India. Thus how the movie fares on the weekend will decide the fate of Ranbir Kapoor till now his fate is in doldrums!